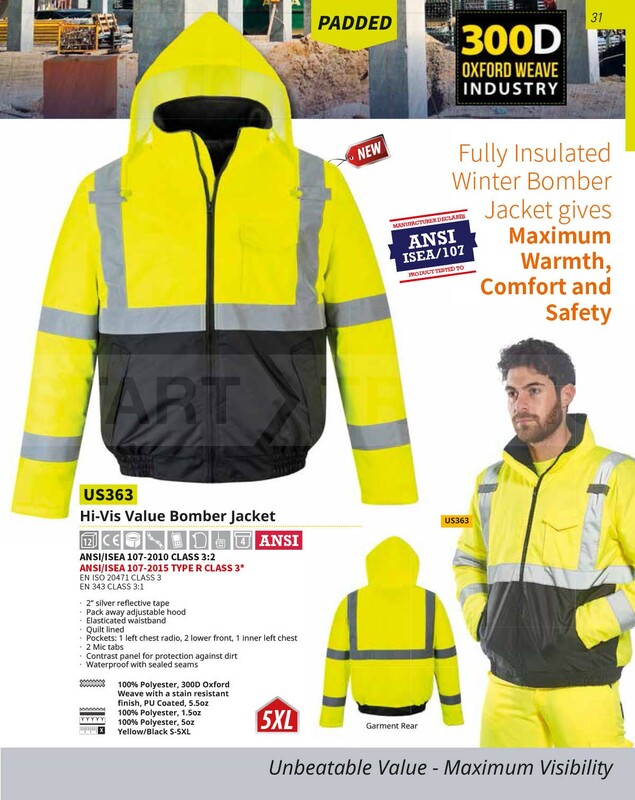 This jacket offers exceptional value, and maximum visibility, it is ideal for large workforces working in conditions where they must be seen by equipment operators and other traffic. 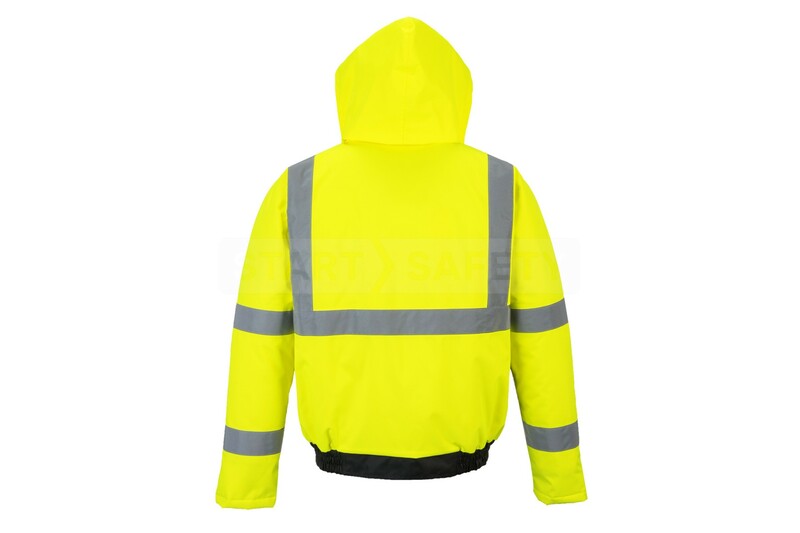 The jacket is made from a waterproof stain resistant 300 Denier 100% polyester weave that is ideal for construction and industrial use. The jacket is equipped with a pack away hood, four pockets and 2 radio mic tabs. An elasticated waistband makes this a comfortable fit for people of all shapes and sizes. 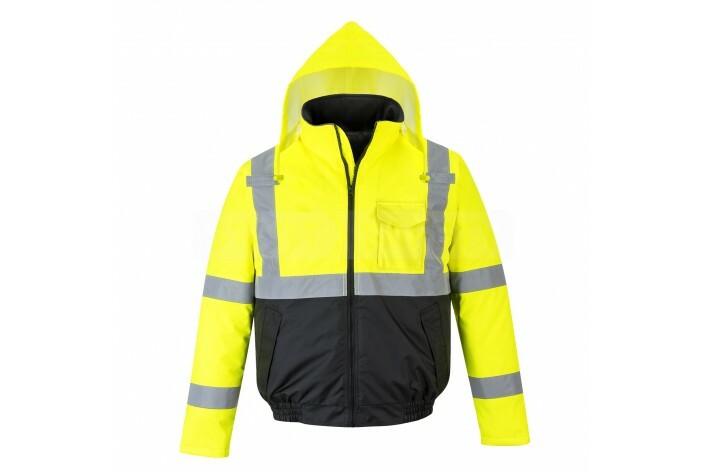 The lower front half of the jacket is black in color preventing dirt and grime from reducing the visibility and hard edges of the yellow, ensuring that workers are seen and safe. Do you have questions about this Value Bomber Jacket? Give us a call and speak to one of our trained sales team, they will be able to assist you in finding the right product for your needs. They would also be happy to discuss any bulk quantities that you may require.